Pedestrians who walk in are told to "leave or just get ragged out anyway. You'll just get nicked." At 1:12 you can see the guard pull out two sheets of paper which we believe is once again a copy of the letter to Paul W from the Department For Transport. 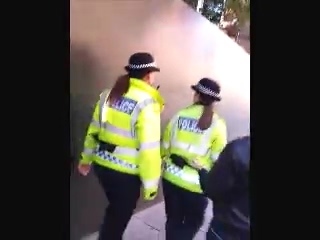 Police with (no) pride: two officers from Greater Manchester Police are seen ignoring a request for assistance and choose to walk away from the situation. 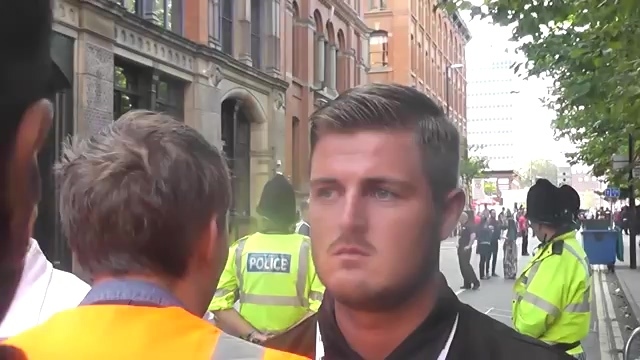 The following three videos were recorded on the Saturday shortly after 5pm when LGBT campaigners, legal observers and other members of the public were at the gate at Sackville Street/Whitworth Street. 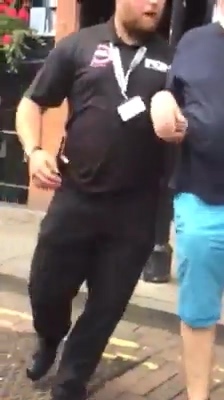 Access to the streets is blocked by guards from FGH Security Ltd. who are employed by Manchester Pride. Police officers can be seen standing watching. Greater Manchester Police is paid more than £50,000 by Manchester Pride. 4 mins 45 secs: a tenant who has a letter isn't allowed in and is told to wait. 5 mins: a person with a wristband enters. 5 mins 47 secs: a guard clearly says "yes you have a wristband come on thru guys." The protesters point out that a "two-tier system" is being operated, which is not allowed. 6 mins 20 secs: police called and someone states "police won't help you at all"
6 mins 53 secs: tenant is allowed through. 8 mins 21 secs: more people allowed in, but not those without a band. 4 mins 55 secs: someone asks to speak to a police officer and is ignored. At 6:10 mins they ignore a legal observer who quotes the law. 1 min 52 secs: police officers' numbers are called out but they ignore the request for assistance. 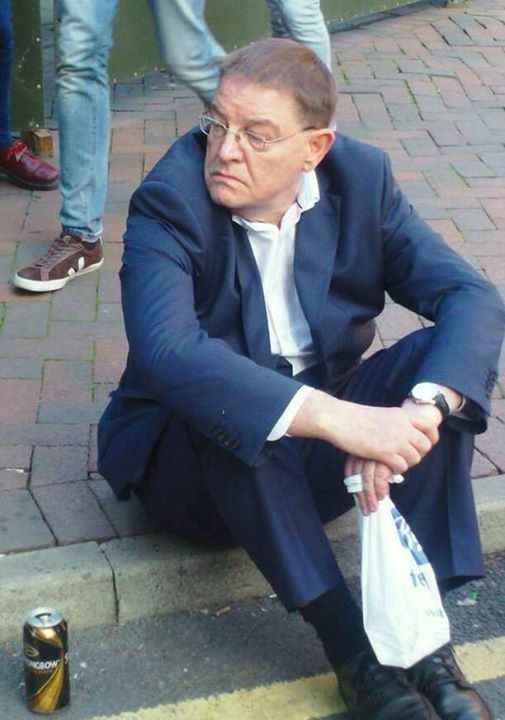 Councillor Pat Karney at the Sackville Street/Whitworth Street gate on Saturday 23 Aug 2014 at around 5pm. In 2030 this is what people will watch and talk about when Manchester Pride is discussed.